Fans of legendary DJ John Peel will be able to pay their final respects as he is laid to rest near his home in Suffolk next week. The funeral is to be held at St Edmundsbury Cathedral, in Bury St Edmunds, on Friday 12 November. The ceremony will be followed by a private service for family and friends of the late DJ. Peel died last week after suffering a heart attack while on holiday in Peru with his wife Sheila. He was 65. His body was flown back to the UK on Monday night. 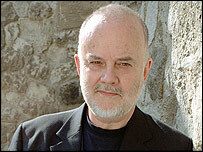 Peel, whose radio career spanned 40 years, was BBC Radio 1's longest-serving DJ and in recent years had also presented Home Truths on BBC Radio 4. After his death, tributes were paid to him from people working in the music industry and from thousands of listeners around the world. He became one of the first DJs to give exposure to punk, reggae and hip-hop, before they crossed over into the mainstream.